This sculpture to be wall mounted reminds me of a primitive breast plate, perhaps Amazonian. The rough cut steel bits and blacksmith like pieces add to the feeling. It seems proud and defensive, perhaps assertive is closer. 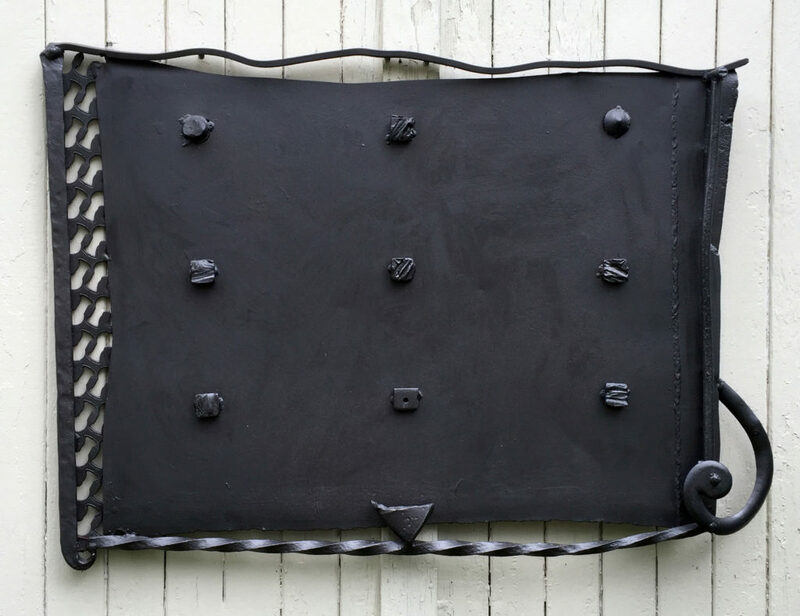 Welded painted steel, 30″h x 44″w x 4″d, 1995 Price $3000.